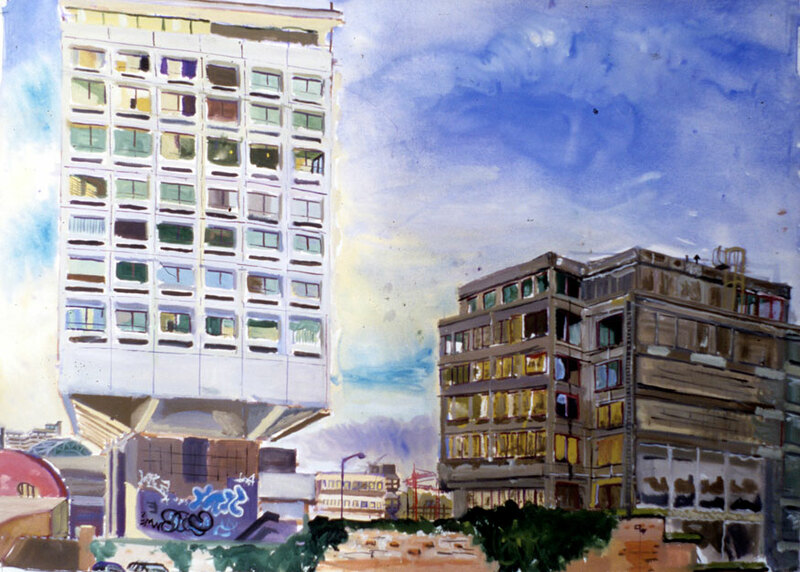 Robert Soden is a painter of the contemporary city with a particular interest in urban regeneration. He sees his work as a continuation of the topographical tradition of Cotman, Girton and Turner. He works directly from the motif, outside on the street. Soden is interested in exploring the urban experience from the grand, stage-managed public arenas to prosaic, everyday moments that are often taken for granted or fail to attract much attention. He is interested in the human element of architecture – where and how people carry out their lives. He uses detail, weather and light as metaphors for the politics of regeneration. The paintings aim to reflect the always exciting and ever “becoming” city.